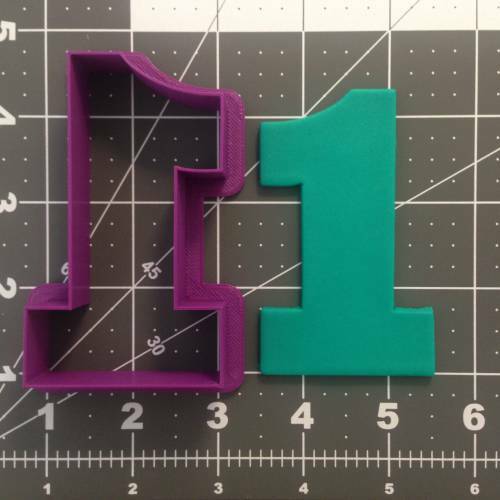 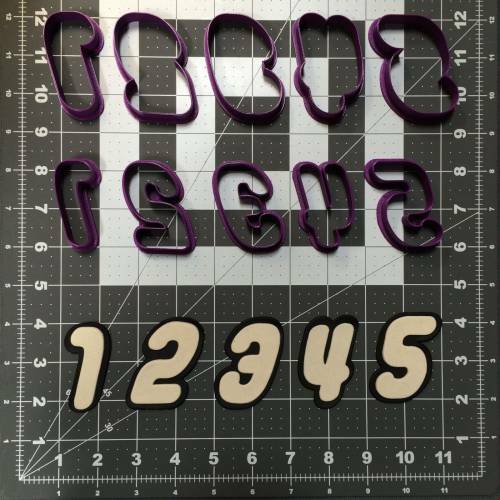 The size for purchase is based on the longest side of the letters or numbers. 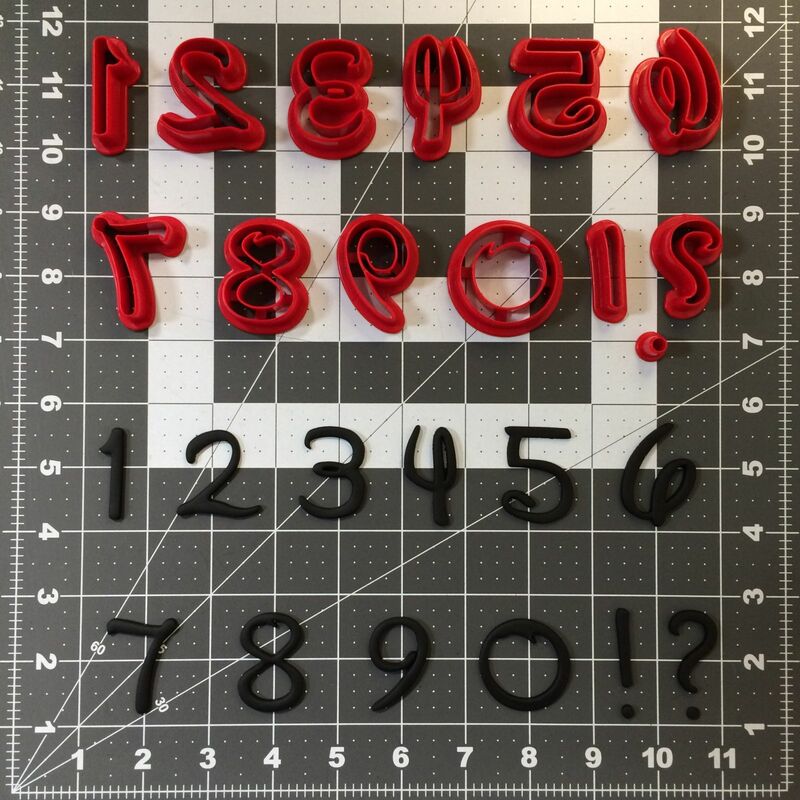 The items in the picture are the 1.5″ Full Sets. 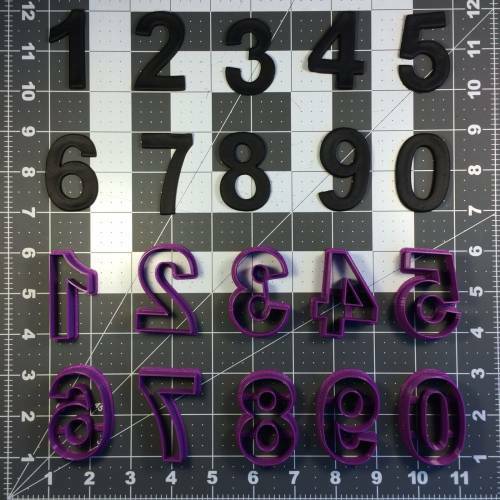 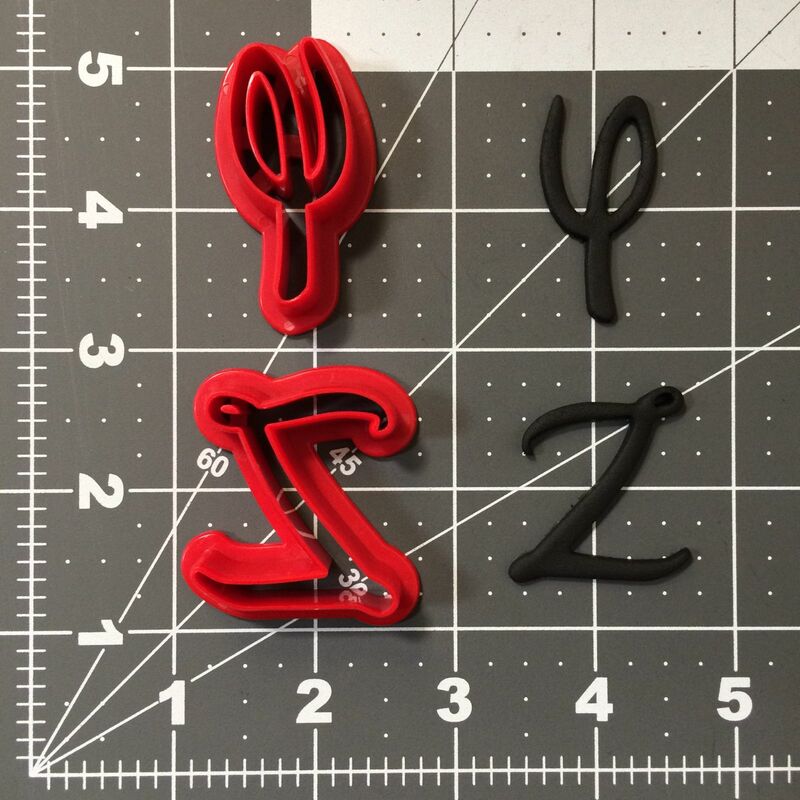 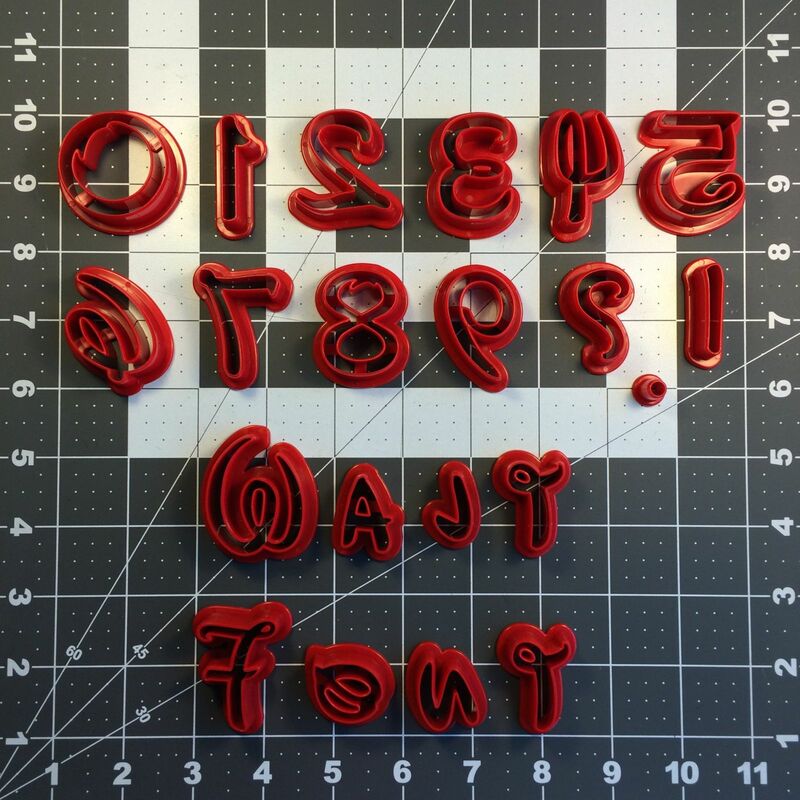 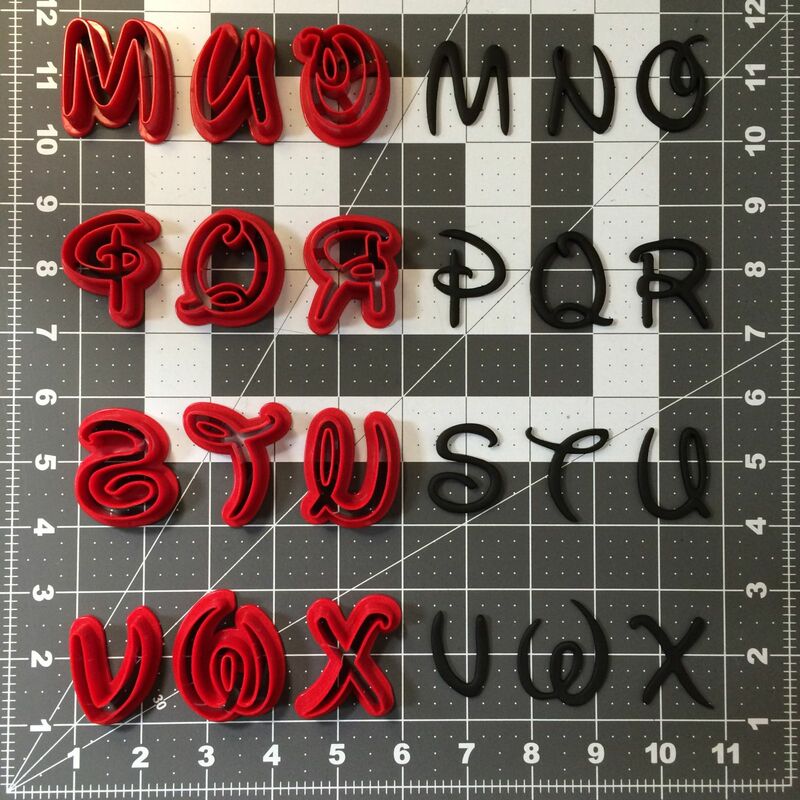 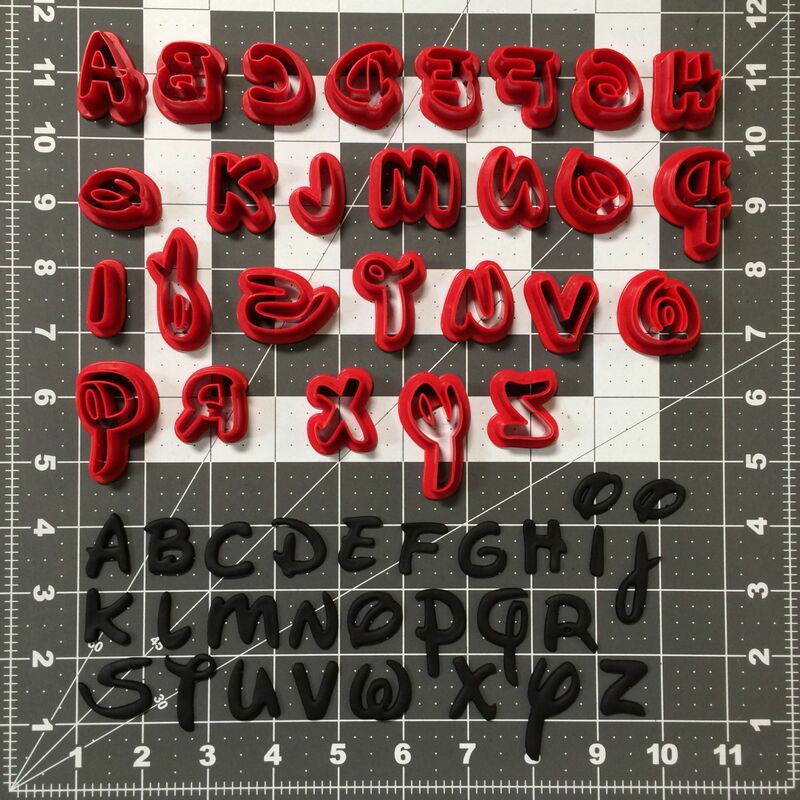 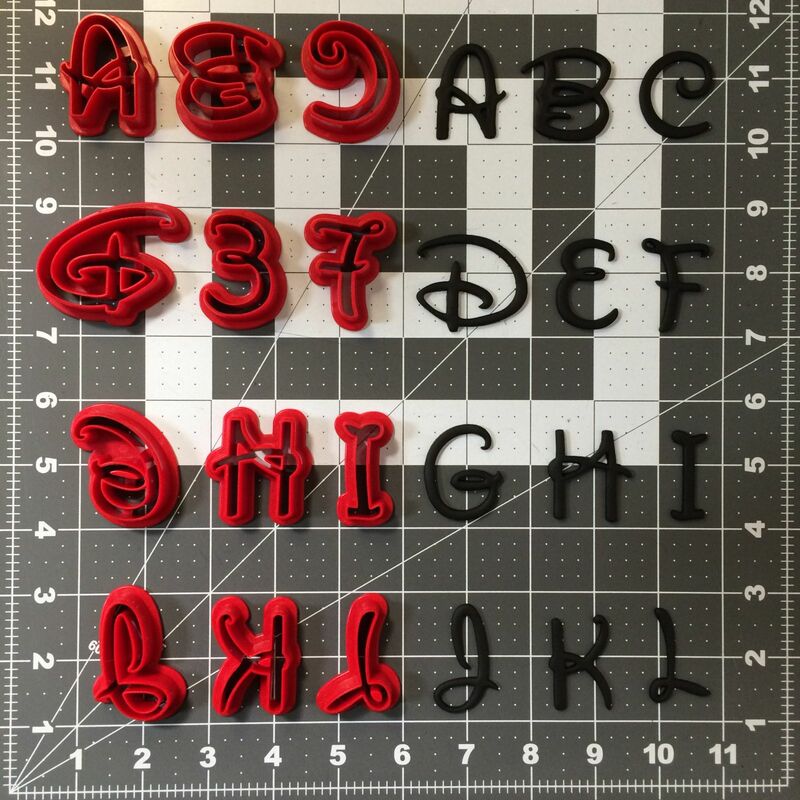 The plastic for the Walt Font Cookie Cutters will be red. 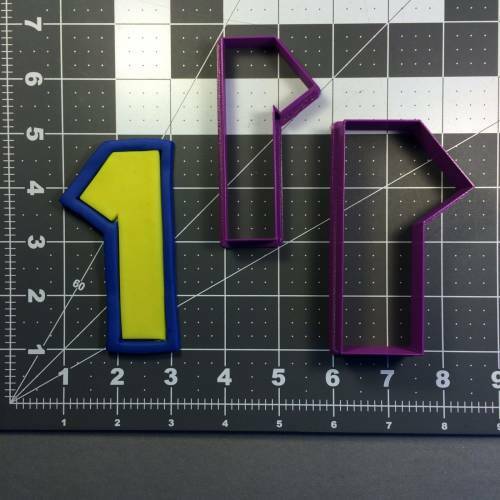 These items are dishwasher safe.